When it comes to adding a custom outdoor space to your property, the absolute best design is one created for exactly how you want to live. So if you’re itching to transform an ‘old-school’ backyard with a new trendy space that fits your lifestyle, a screened in deck or screened patio enclosure may be just the ticket. But a backyard transformation doesn’t have to break the bank. At Archadeck, we have some customers who prefer to ‘keep things simple’ and uncomplicated. These folks want a minimalist structure with a roof and screens to provide a nice spot to sit in the shade, out-of-doors and away from insects. 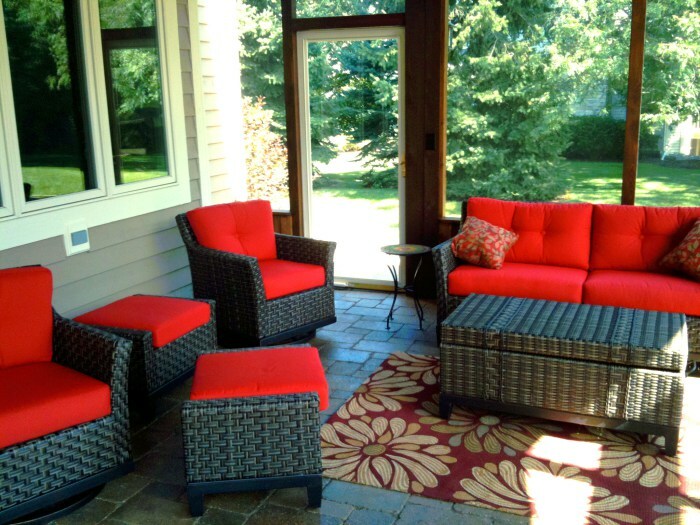 Others customers prefer ‘the total package’, opting for a quasi-outdoor space designed and built with plenty of bells and whistles to re-create the same creature comforts of any indoor space — plush furniture, outdoor rugs, electrical access, cooling or heating devices, televisions and sound systems. Either way, a reputable and knowledgeable contractor can help you develop a plan, perfect for your family. Often times, a screened-in deck or screened-in patio is an awesome arrangement for any project size, style and any budget — austere to moderate to the whole shebang. 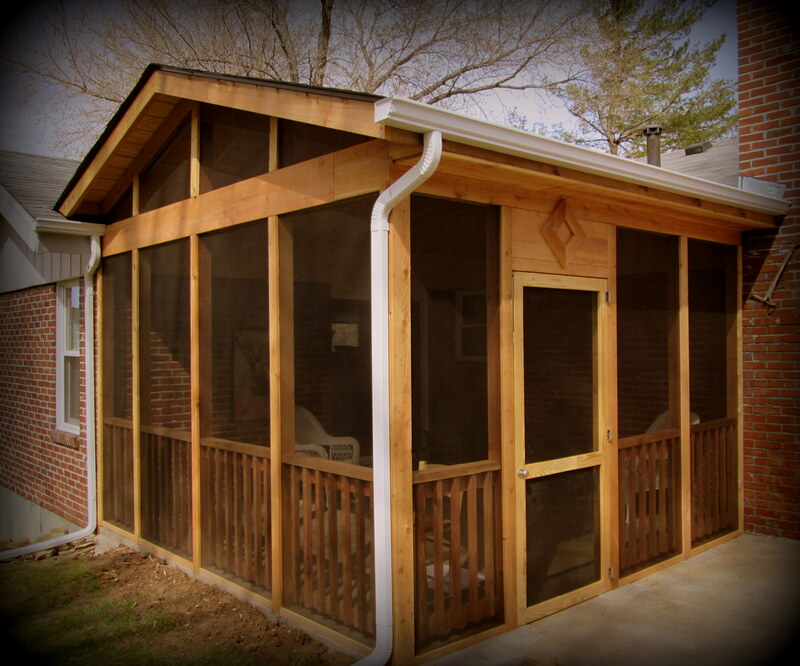 A screened in area for a deck can be attached to your house or detached too. (1) level to (2) raised above or (3) built below the deck’s floor surface. Nonetheless, this type of structure is conducive to all sorts of weather, allowing you to enjoy the outside, comfortably. And as a bonus, a screened in deck adds valuable square footage to your residence but is a lot less expensive than a total room addition or even a sunroom. 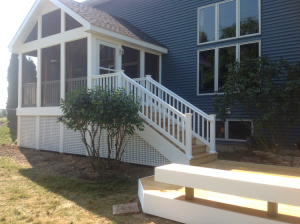 And just like a screened in deck, a screened patio enclosure can be a special place and extension of your home. These outdoor spaces may be designed and built as a relaxing backyard bungalow or they may be fully equipped for first-class entertainment. Budget-wise, a screened in patio is less expensive than an elevated structure because they’re constructed at grade-level and atop (often-times existing) concrete, pavers or brick. 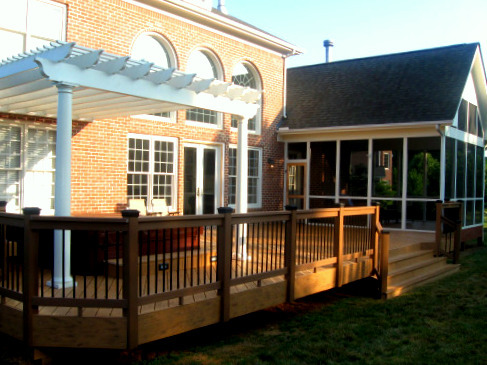 Screened in decks and screen patio enclosures are popular outdoor living spaces because they guarantee shade, shelter, and privacy. They’re a safe place for kids to play, the family pet to enjoy fresh air, a cozy spot for ‘me time’ or a place for entertaining. They come in all shapes and sizes so choose a design that best complements your property’s layout and the way you’ll use it. 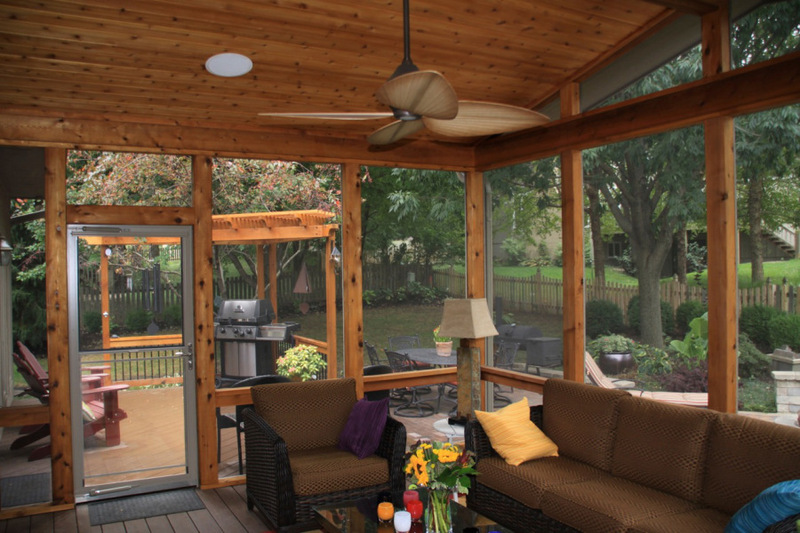 No matter the answer, any screened-in outdoor space reconciles the separation of the two. And either way, Archadeck can help. 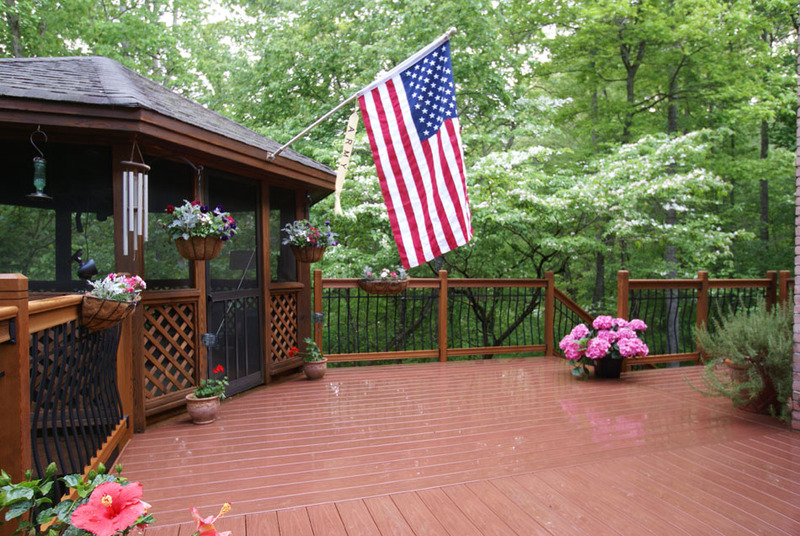 If you live in the vicinity of St. Louis, Missouri and are thinking about adding a deck, screened porch, pergola, gazebo or other outdoor living space, please consider Archadeck. We’re locally owned and operated with offices in St. Louis West County, serving the entire metropolitan region including St. Charles, St. Charles County and parts of Illinois. For Archadeck highlights, check-out the ‘About Us’ page. We can be reached at 636.227.0800 or visit our website, west-county.archadeck.com to see pictures of our work, to complete an online inquiry form or to send us an email. If you live elsewhere in the country, go to archadeck.com for other locations.